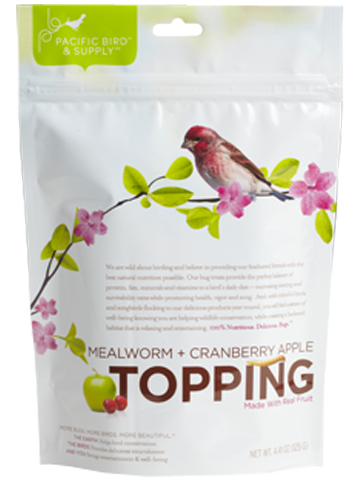 Pacific Bird's Mealworm + Apple Cranberry Topping contains high-quality fruits blended with hearty, flavorful, whole dried Mealworms. 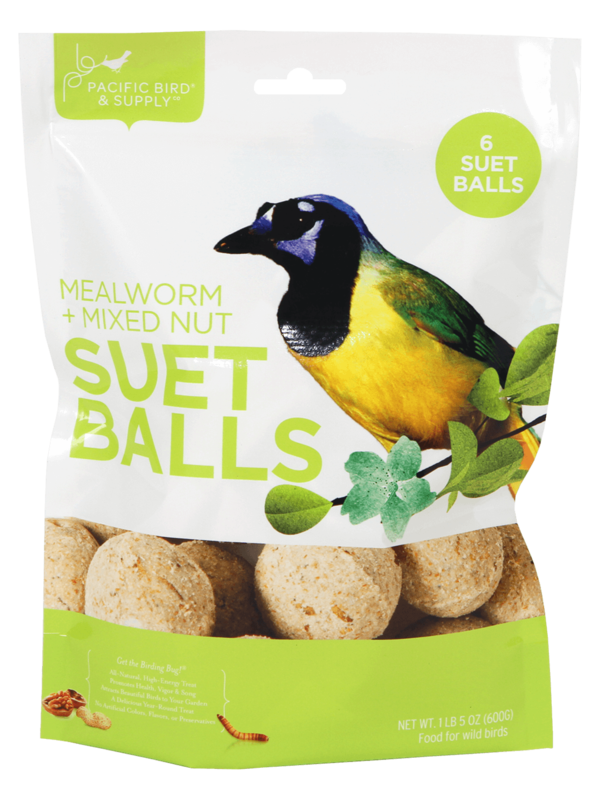 As an ideal source of protein and energy for wild, insectivorous birds this mix is sure to make 'em sing with joy! FEEDING INSTRUCTIONS: Easy and convenient to use. 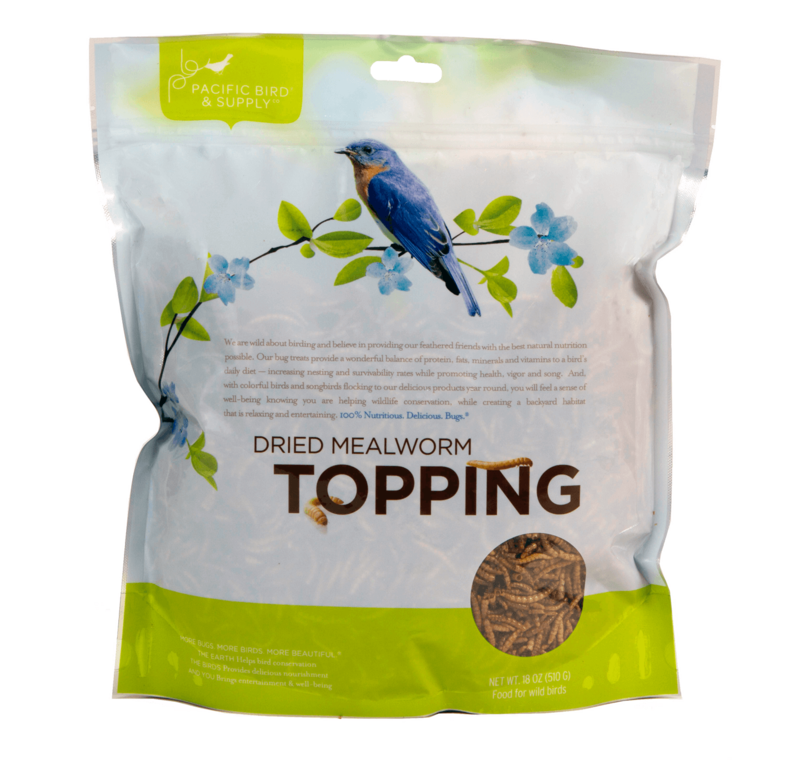 Simply place desired amount of Mealworm + Cranberry Apple Topping in a dish, feeder, or mix with preferred seed blend. 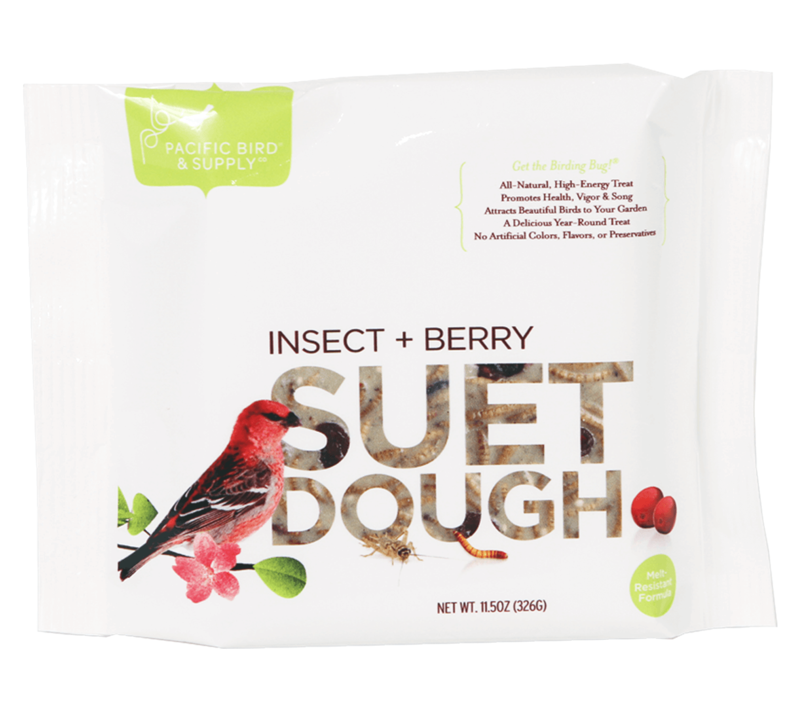 For added moisture and an instant life-like effect, lightly coat insects with pressed extra-virgin olive oil. 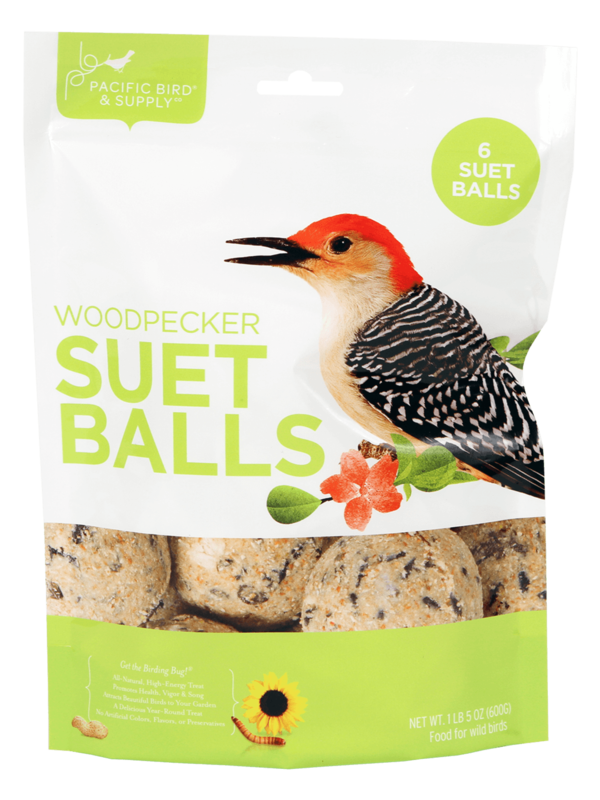 Don't be surprised if you see a greater variety of birds feasting at your feeders, as insects and fruit attract new species that may not be tempted by seed alone. 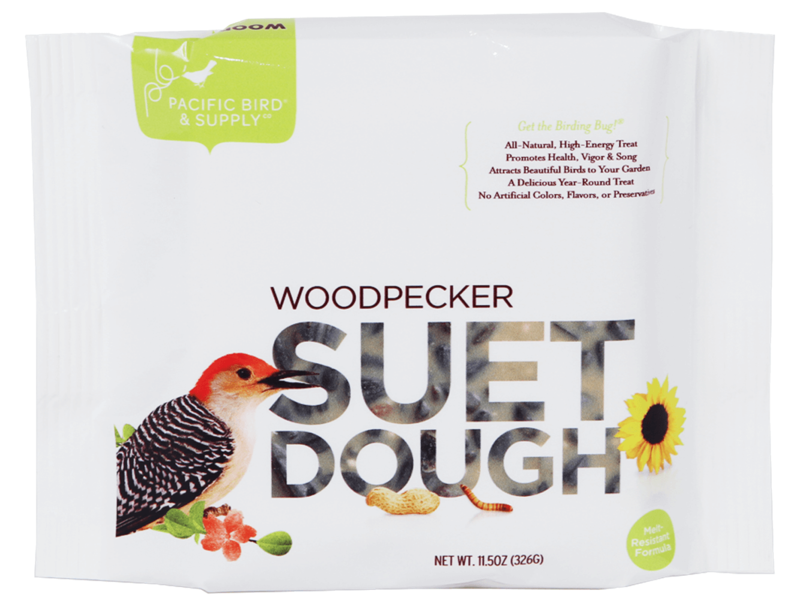 Pacific Bird Toppings may attract bluebirds, chickadees, cardinals, nuthatches, woodpeckers, flycatchers, wrens, and many other colorful birds to your backyard!